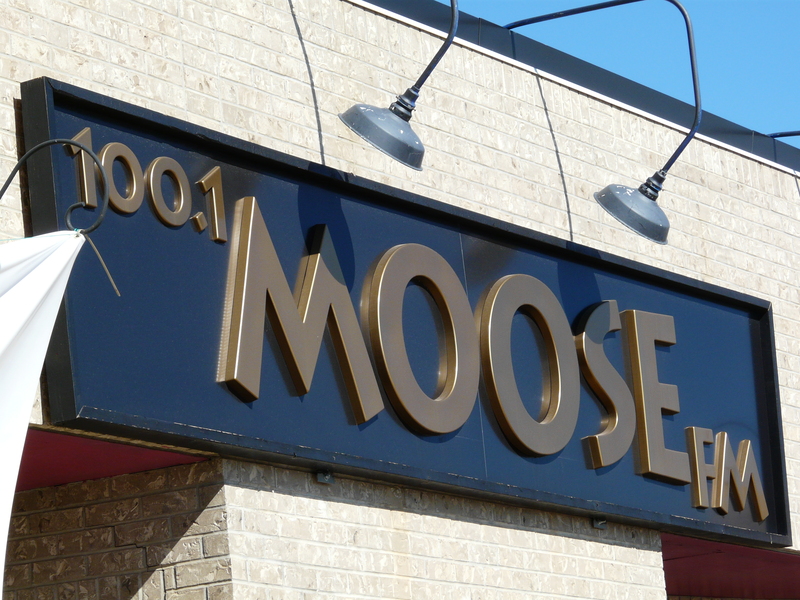 A 10 year Birthday is cause for a celebration and when your Moose FM make it big or go home..! After the success of the day I can see this is going to be an annual event one should not miss. An opportunity presented itself to try something new in the community and so I jumped on it. 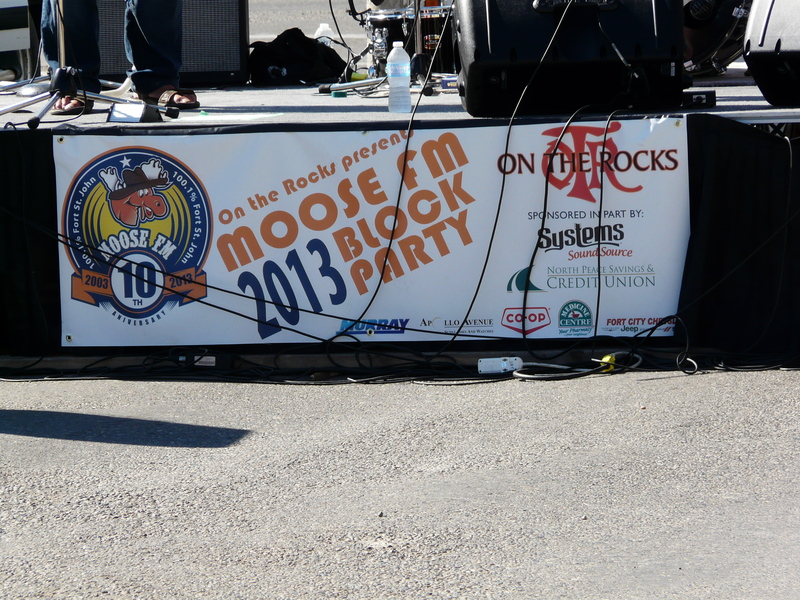 Saturday September 7th, 2013 the Moose FM’s Block Party was being held in FSJ. 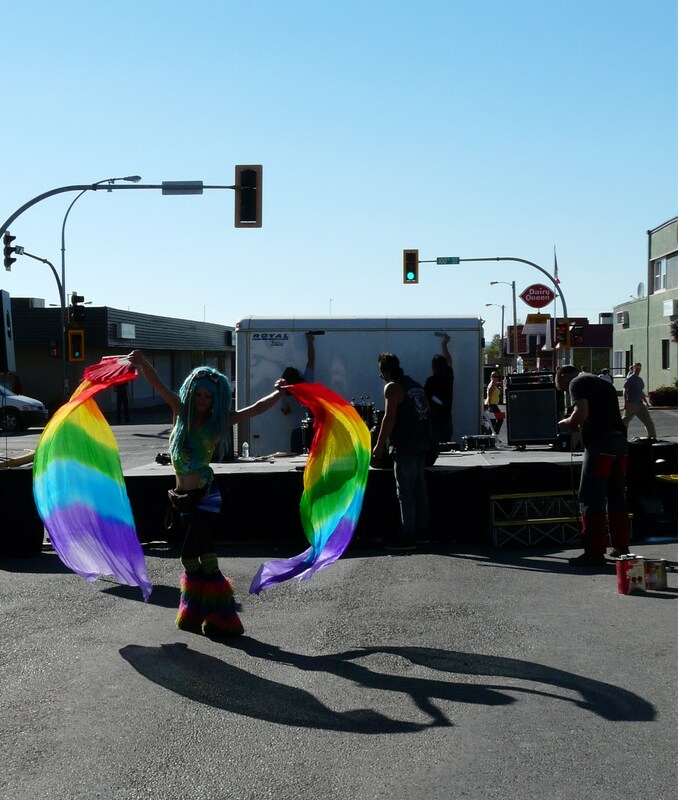 A lot of fun was to be had; in fact the city block was shut down offering a lot of space and vendors to make the day the best that it was. 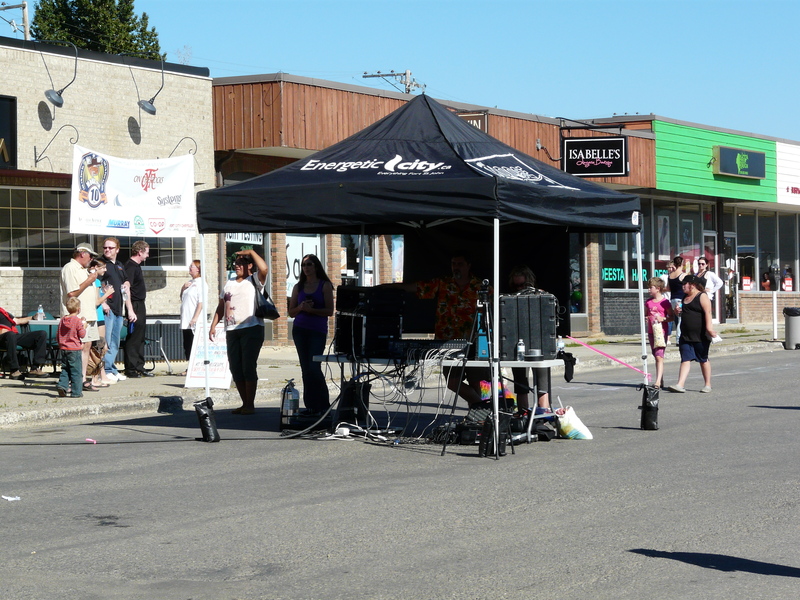 At one end of the street was the main stage were live bands and performers took the lime light and gave the attendees a good show. 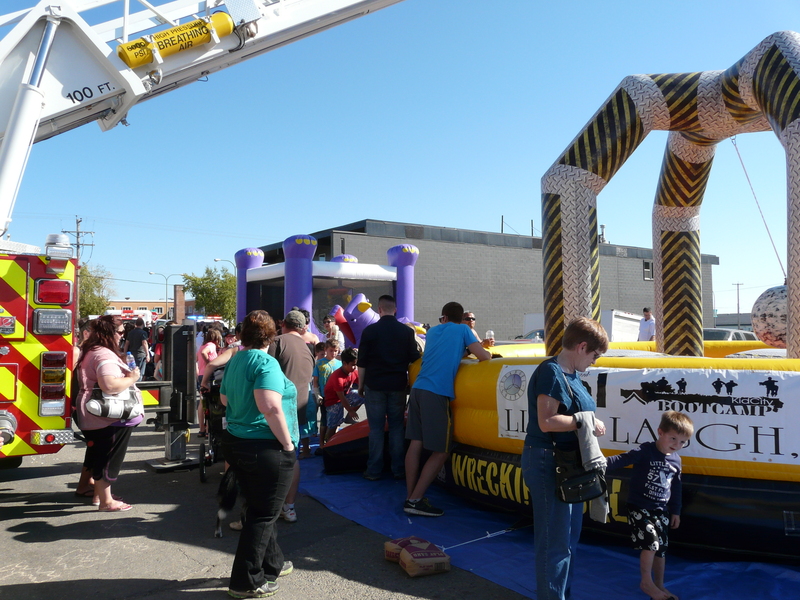 As you travelled down the street away from the stage there was a tent set up with vendors selling crafts and wares, after that were food vendors, the FSJ Fire Department and inflatable’s for the kids to jump on. All in all there was no shortage of fun and it was free..! 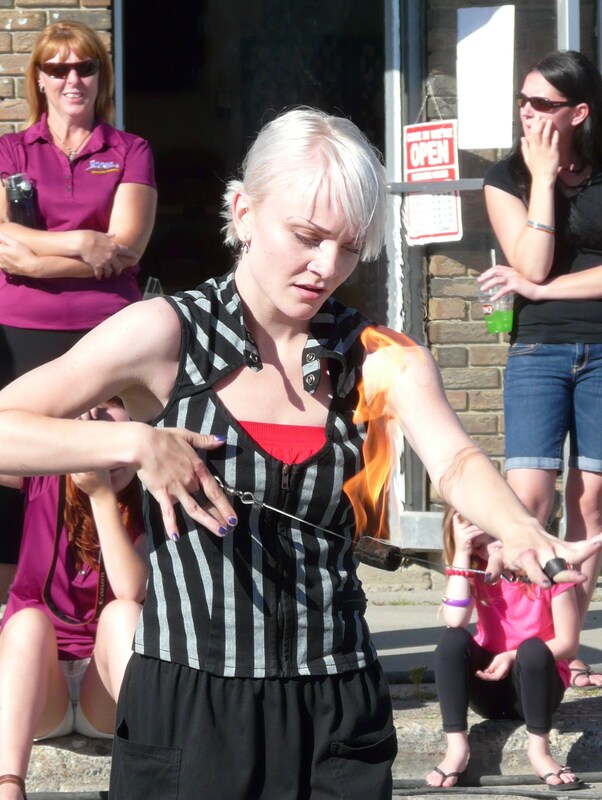 What drew me down to the event was to see my good friends the Circus of Hell do their performance. 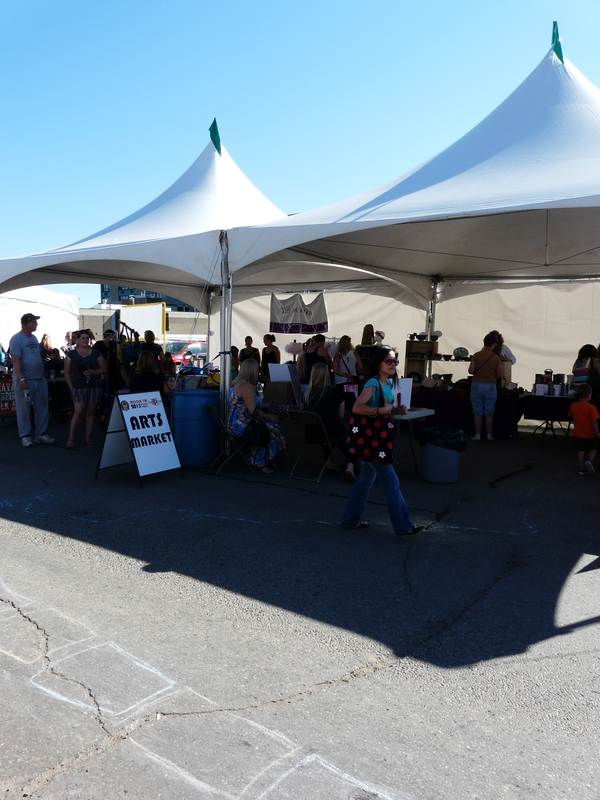 We did not make it to the event until the end of the day and yet what a way to meet other great people, to talk and to make connections with in the community. 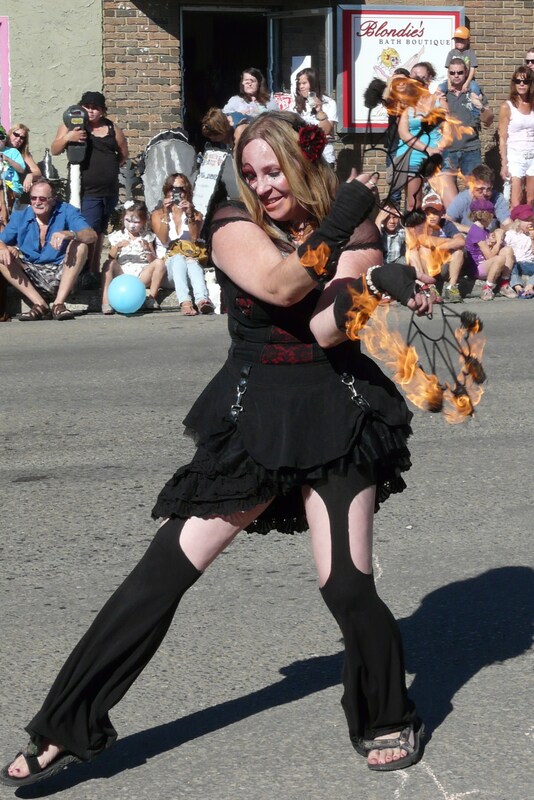 For myself I spent most of my time down by the main stage as I was taking in the performances and did not want to miss out on anything. Great acts that were seen this day were Tom Cole, Alister Stone, The Ramblers, Eric Clark. 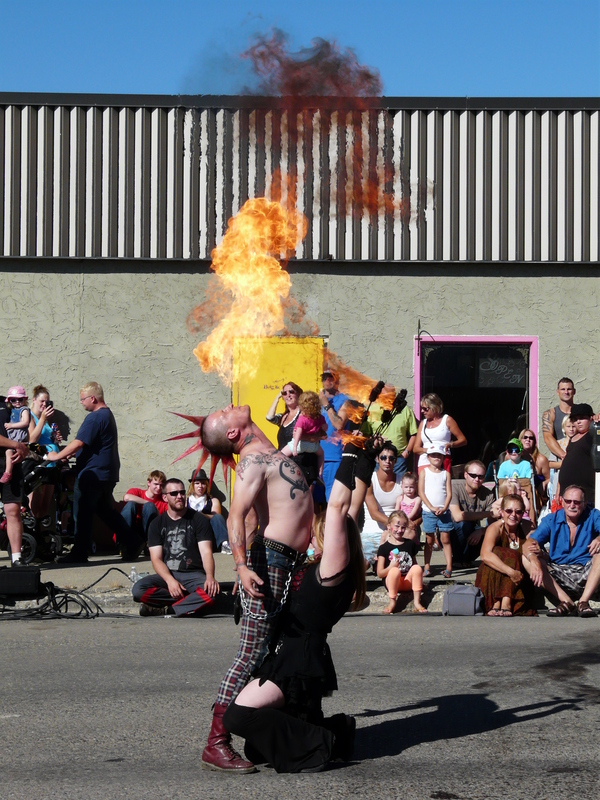 We can not forget the amazing fire breathing Circus of Hell and The Ring of Fire. The day was fantastic and a huge Thank you to the Sponsors because with out the behind the scenes people this day would not have run as smoothly as it did. On the Rocks Night Club, Systems Sound Source, North Peace Credit Union, Murray, Apollo Avenue, Co-op, The Medicine Center and Fort City Chrysler to name a few. 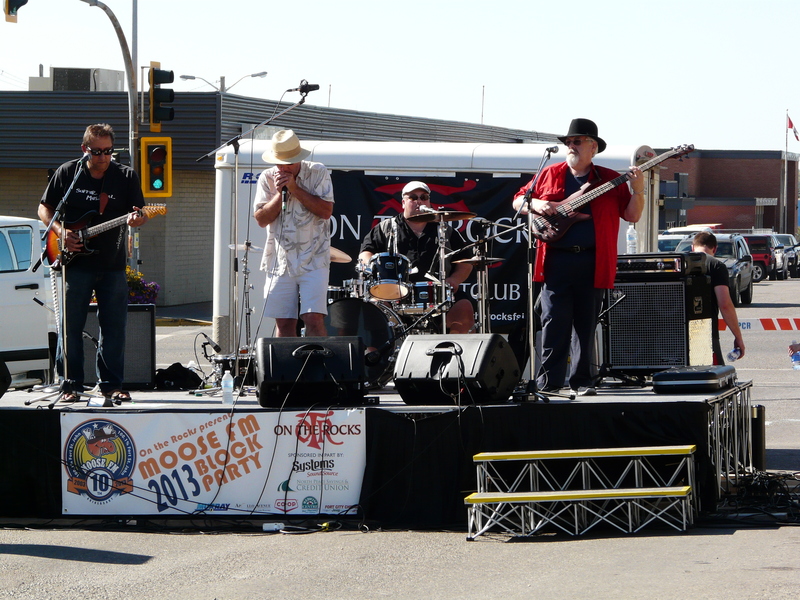 More images from the event can be seen on the Moose FM’s FB Photo Album.